Fighting back against the GOP's all-out assault on reproductive rights. Last week, the House passed the most restrictive abortion bill to come to a vote in Congress in the past decade. Despite the efforts of Democrats and a few moderate Republicans who spoke out against the unconstitutional bill, which bans almost all abortions after 20 weeks, it passed in a vote of 228 to 196. This is only the latest blow in the GOP’s all-out assault on women’s reproductive rights. Republican leadership considered the bill, called the Pain-Capable Unborn Child Protection Act, an “appropriate” response to the outrageous crimes of Kermit Gosnell, whose horrific abortion clinicinflicted numerous injuries and deaths. 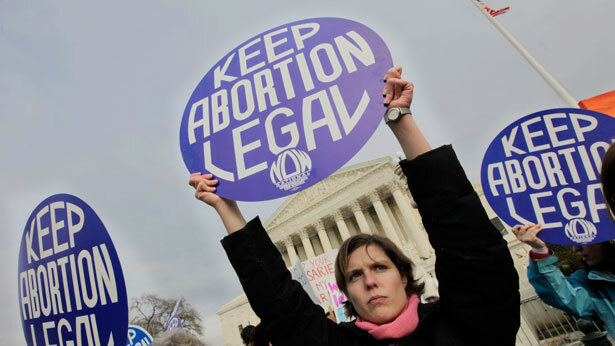 But the GOP learned the wrong lessons from the Gosnell case, which illustrates the dangers of illegal abortion and the damage that ensues when disadvantaged women without access to safe clinics are forced to put their lives in the hands of a murderer.